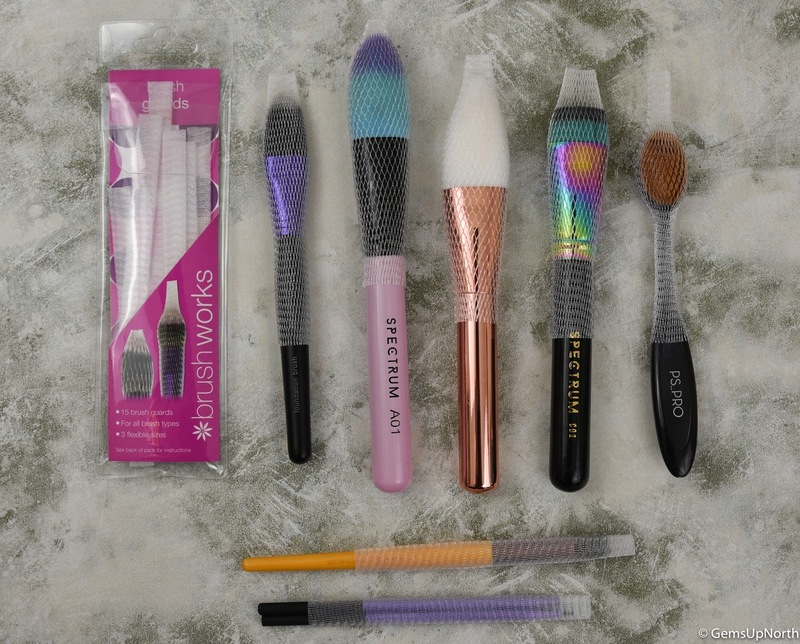 Recently I was contacted by SparklePR who wanted to send me some Brushworks products to try out, I agreed after having a look at some of the products on False Eyelashes Website; I liked the look of a couple of brushes and the brush guards they have available. 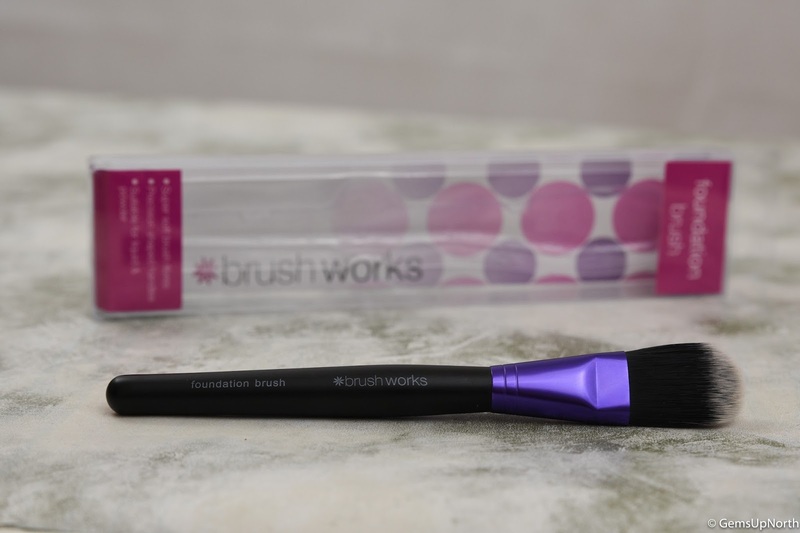 Brushworks is a full range of makeup brushes and beauty accessories that are affordable quality products, created with Brushworks no nonsense approach to beauty. 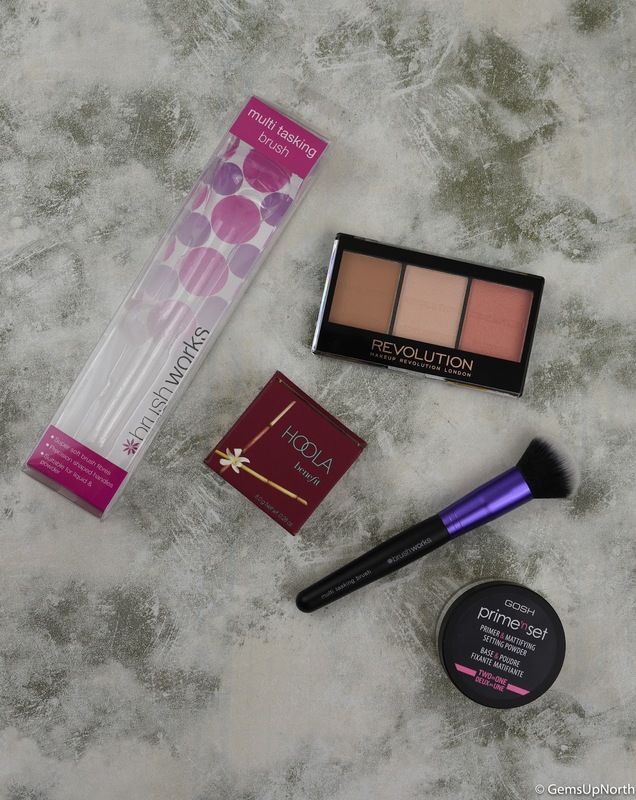 The range includes; brushes, nail tools, makeup sponges, tweezers and foot care products too; all of which have a colourful look to them. As an added extra all the Brushworks brushes are Vegan friendly and Allergy free too which is always a plus for me. 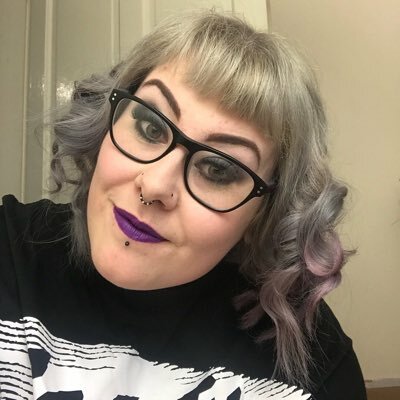 I was luckily sent three items to try out including; the Foundation Brush, Brush Guards and a Multi Tasking Brush, all of which I couldn't wait to try out. The packaging looked fun and admirable with pink and purple colours and clear readable text. 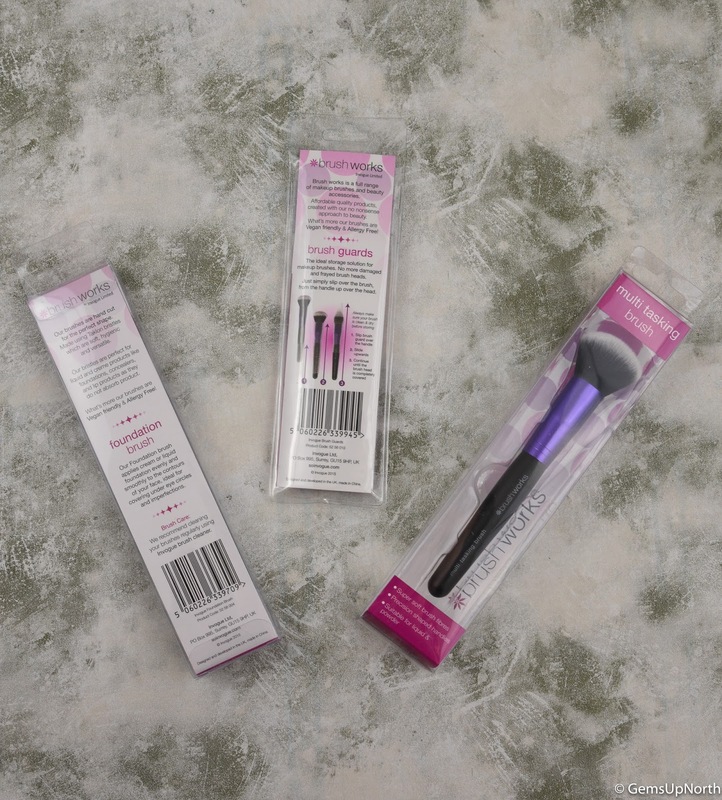 Each of the products packaging has the Brushworks brand information and product information including item uses and how to care for the items on the back. All the text is very informative, it's nice to be able to see this information before opening the packaging, if I saw these products in a store I could find out everything about the item before buying from reading the text on the packet and not having to open the product for a leaflet inside. This is a flat oval shaped foundation brush which is great for applying makeup if you want a full coverage finish; the brush moves your makeup over your skin smoothly. The brush itself is quite soft for a foundation brush, towards other brushes I've used in the past, this is ok however I think if this brush was more dense it would apply my makeup slightly better. The softness of the brush means this brush is safe to use around the delicate eye area to a apply foundation or concealer. 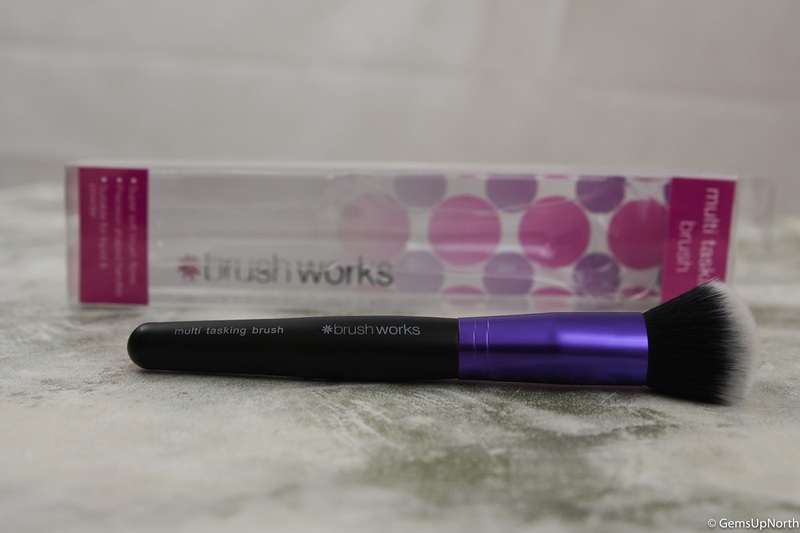 I like the handle and design of the brush with the purple bristle holder (my favourite colour) and the matte black handle which has the brands name and type of brush printed on it; for beginners these brushes would be great because of this. The handle is also nice and short and fits into my hand comfortably which is another advantage. Brush guards are something I've never used before but now wish I had; these nifty products are great for travelling and protecting my makeup brushes. The guards come in three flexible sizes which fit all brush types, I've tested these guards on different sized brushes from large powder to eye shadow brushes and even oval shaped brushes. I found that eye/lip liner brushes are better guarded if I put more than one brush in the guard, this means they are still protected but not falling out of the guard. Each guard is made from a clear net like material that stretches over any brush comfortably; these are strong and easy to use. To use pop the end of your makeup brush into the brush guard and slide the guard up over the brush bristles; easy as that. The guards protect your brushes from fraying and any damage especially when travelling, if you always throw your brushes into your makeup bag these would be great for you. The packet comes with 15 guards and since they are super affordable if 15 isn't enough you can purchase a other packet without breaking the bank. No other brush I own is called a multi tasking brush so I was very interested in seeing what this brush could do, as the name suggests it has multiple uses. I used this brush for applying, powder foundation, finishing powder, contour products, blush, highlighter and dusting off excess shadow under my eyes so I would agree that this brush is definitely a multi tasking tool. The round and soft brush head is perfect for applying all of these products above, you could have this brush and not need another; making it really good value for money. The handle has the same design as the foundation brush above with the brands name and brush use on the short matte black handle. I have really enjoyed using this brush and will continue to use it well into the future. I washed both this and the foundation brush and was impressed that the brushes dried well and product easily washed out the bristles with no effort at all; this shows me that they are good quality. Overall my first impressions of the Brushworks brand are that they are good value for money, well designed and the brush guards especially are innovative, I'd like to see what other products the company will create next. *Pr Samples - all comments are my own, see my disclaimer for more information. 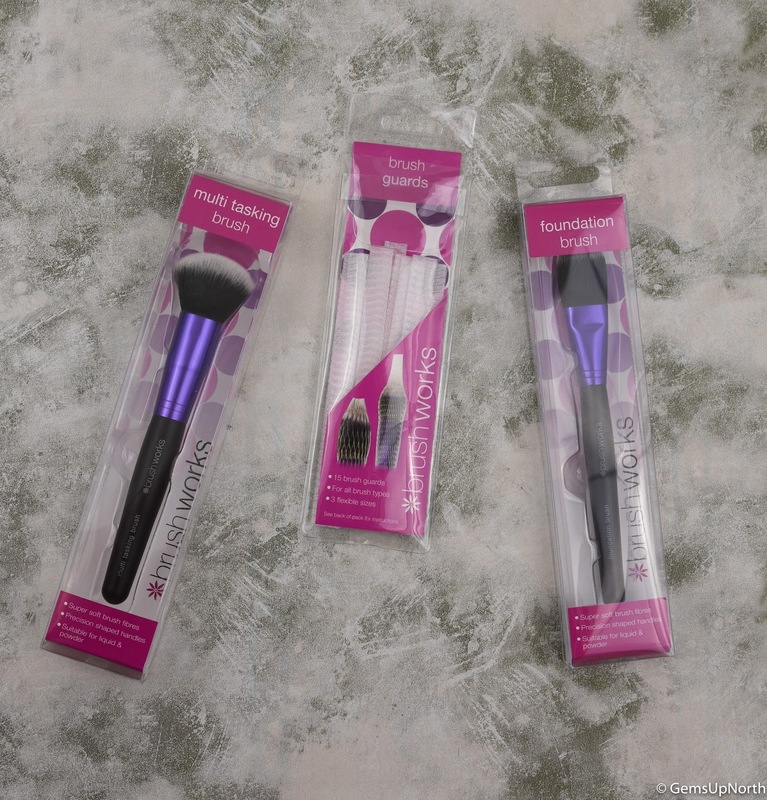 Thank you for reading as usual hun and for your kind comments on my reviews, I've really enjoyed using these Brushworks products, wish I'd known about them earlier :) your right they are so fab and innovative the brush guards. The brush guards are seriously amazing! I can't believe I didn't know about them before. Thanks so much for reading hun.